Papers, exams and projects are going to be top priorities on the minds of many stressed out college students at East Tennessee State University for the next two weeks. Luckily, events like Stress Less Day, which occurred on April 19, have been here to help. Stress Less Day is sponsored by the ETSU Counseling Center’s THRIVE program, which focuses on suicide and violence prevention through outreach efforts on campus. 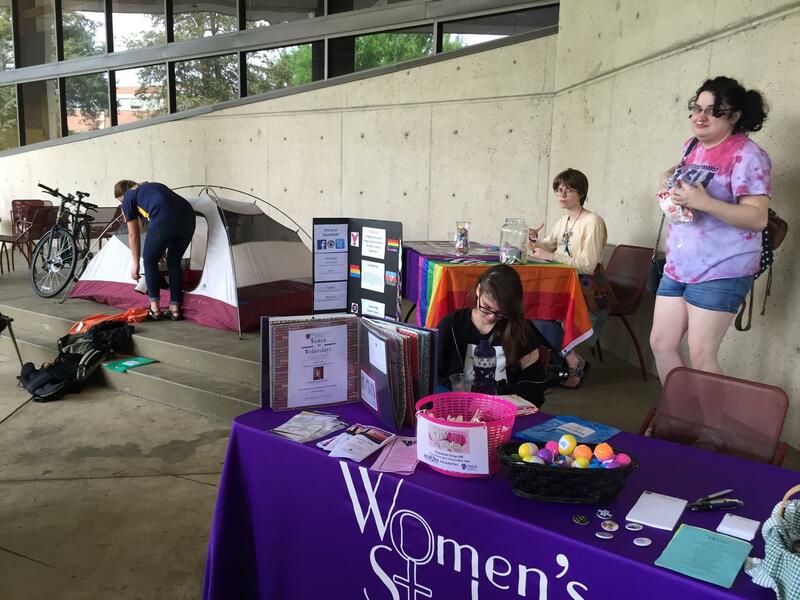 The event, which has been on campus for four years now, included mindfulness meditation, gift bags, therapy dogs, coloring and painting, as well as various other booths to visit. Inside the gift bags included mediation CDs, lavender aromatherapy, coloring pages, herbal tea and tips for balancing stress. 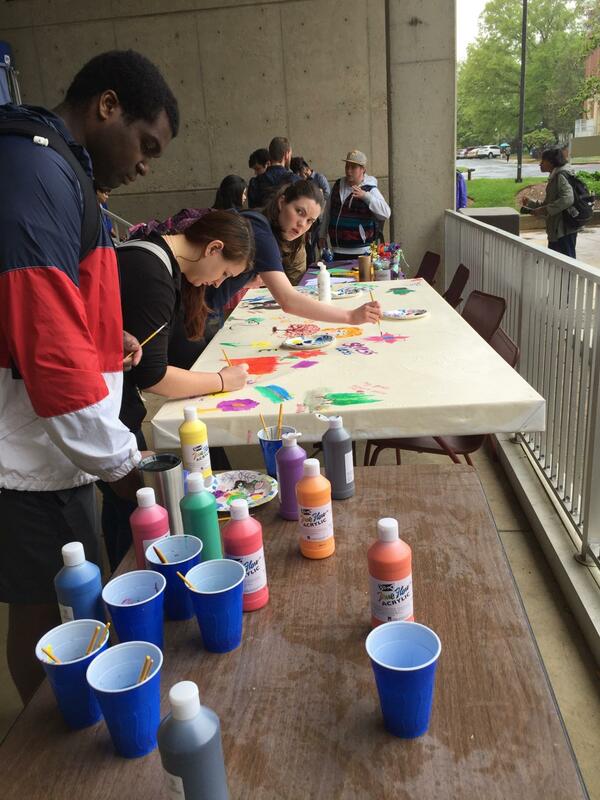 According to the THRIVE Program, the goal for the event was to help students de-stress before finals by having them engage in various activities. “Our hope was that students would use this time for self-care and relaxation, and that they would incorporate more of these activities in their everyday lives to help better manage stress,” a representative for the program said. 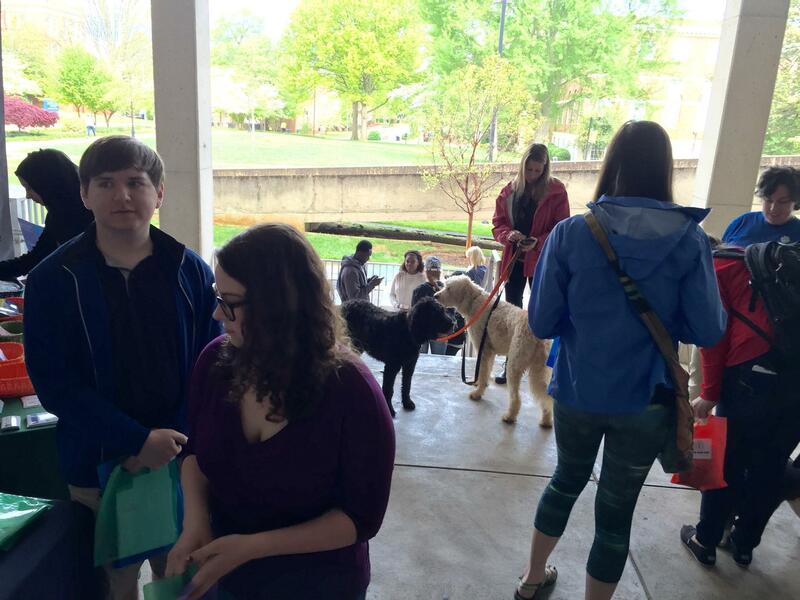 Groups in attendance included Jones Chiropractic, ETSU’s HEROES, the Women’s Studies Department, Healing Paws Pet Therapy, the ETSU Community Counseling Clinic, Outdoor Adventures and Barbra Clark with her therapy golden-doodles. According to THRIVE, over 800 gift bags were given out in total, and the event had an overall wonderful turnout. Stress Less Day was coordinated by ETSU Counseling Center senior staff Beth Evelyn Barber, and her two graduate assistants, Molly Colley and Ashley Olmstead. Following Stress Less Day, the Seven Days of Calm kicked off. Seven Days of Calm, also sponsored by the Counseling Center, includes meditation sessions from 10 a.m. to 2 p.m. with beginner sessions every 20 minutes. For anyone who was unable to attend Stress Less Day, or need extra help through this overwhelming time, the Counseling Center is located on the third floor of the D.P. Culp University Center, and is open from 8 a.m. to 4:30 p.m. Monday through Friday. Walk-in hours are Monday through Thursday from 10 a.m. to 11:30 a.m. and 2 p.m. to 3:30 p.m.
For more information regarding these de-stress events, or for someone to talk to, go to www.etsu.edu/students/counseling.